Our family ski trips out west to Colorado are the best. 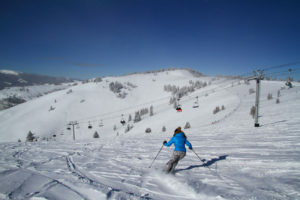 Big mountains, high elevation with great snow, blue sky and sunny days (unless its snowing), beautiful ski village at the base, excellent kids programs and après ski for the parents. Colorado is home to many great family ski resorts that offer ski terrain diversity, snow abundance, ski in ski out lodging, exceptional ski and snowboard schools plus Rocky Mountain scenery and friendly locals. Here are our favorite ski resorts for families in Colorado, and our Top Western Ski Resorts for Families and best western ski resorts for early season snow! 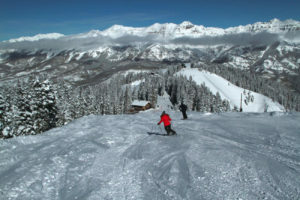 Snowmass is the largest of the four Aspen ski mountains, skiing the Big Burn at Snowmass will make everyone in the family feel like the big cheese – or a ski movie star. With ski in ski out lodging at Snowmass Village in the posh Viceroy Hotel, and the state of the art Tree House child care center – Snowmass is ideal for families. 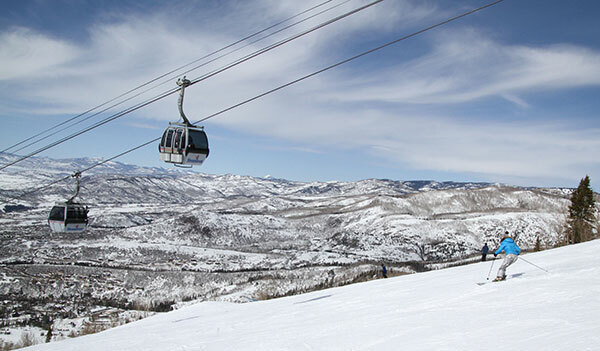 Snowmass is the second largest ski resort in Colorado at 3,332-acres, second only to Vail. 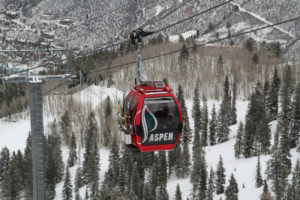 Aspen Highlands and Ajax in downtown Aspen are also worth a day of skiing during your family ski week in Aspen. Aspen’s Buttermilk is teen heaven in January when they host the trendy Winter X-Games. Vail is the grandfather of Rocky Mountain ski resorts (circa 1962). 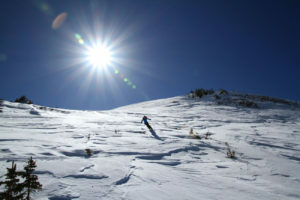 With so much terrain (over 5,200-acres), Vail makes the top ten ski resort list easily. The best place to stay is Lodge at Vail, the original in 1962, just steps to the Gondola, ski school and the Village. Lions Head is home to swank lodging at the Ritz and Arrabelle with its Disney-like facade, and another gondola that brings you to Eagles Nest and Adventure Ridge for tubing, ziplining and a mountain coaster. On the mountain, look for Vail’s Kids Adventure Zones like Fort Whippersnapper. Vail Village has wonderful European ambiance for your family to explore, on Bridge Street, after a day on Vail’s Front Side or the Back Bowls. For Vail apres ski and nightlife (family-style), look for the weekly free concert block parties at 6pm. Beaver Creek is like Vail – though more upscale. While not as big as Vail, this resort is posh, well-pitched and has the personal touch I like on a family ski holiday. 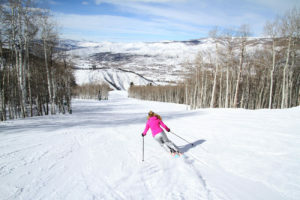 Maybe it’s the free, fresh homemade cookies in the village for après ski, staying at the lovely Park Hyatt Beaver Creek or the centerpiece ice skating rink, or it could be the World Cup Downhill Course – Birds of Prey… Beaver Creek has something for everyone. Check out the Ritz Carlton Bachelor Gulch for a luxurious ski to lunch. St eamboat is a Wild West cowboy town with a very tame side, and a soft spot for families. 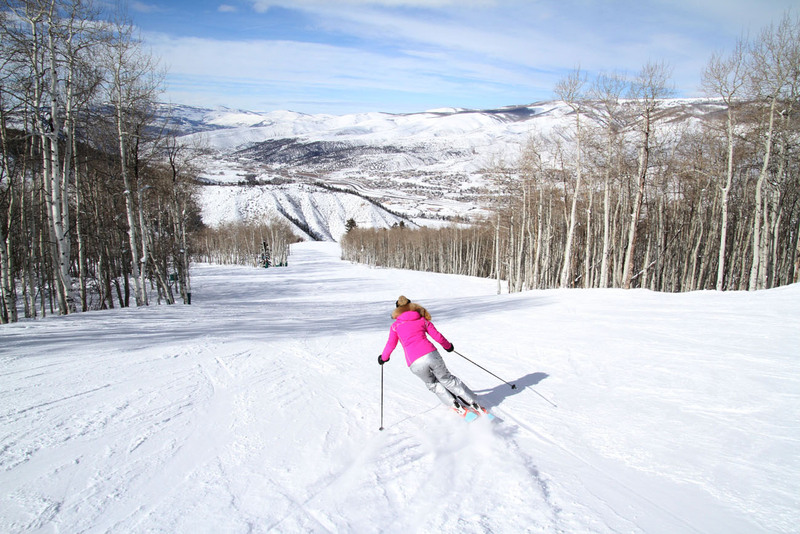 Steamboat’s ski terrain is mostly gentle (with a few sweet steep Glades) blanketed in Colorado snow and sun, with beautiful on-mountain accommodations at the Steamboat Grand Hotel. Steamboat’s ski village at the mountain is super convenient, while the downtown frontier town, just a short drive away, is western cool. Steamboat does get busy on weekends and holidays, given the buildout of new hotels and condos. Your kids might be drawn tot he mountain-coaster that’s smack dab in the middle of the ski base area, but we suggest going to Strawberry Park Hot Springs for après ski – a natural hot spring carved in to the rocks. Skiing with Olympian Billy Kid, Nelson Carmichael, and 88 others…and counting, Steamboat is a breeding ground for ski athletes. You can race NASTAR or pay for First Tracks to put an extra spring in your ski trip to Steamboat Springs. 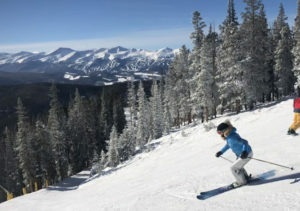 Copper Mountain Resort is convenient, under two hours from Denver, and casual with everything steps from the village, and naturally divided terrain ideal for families. 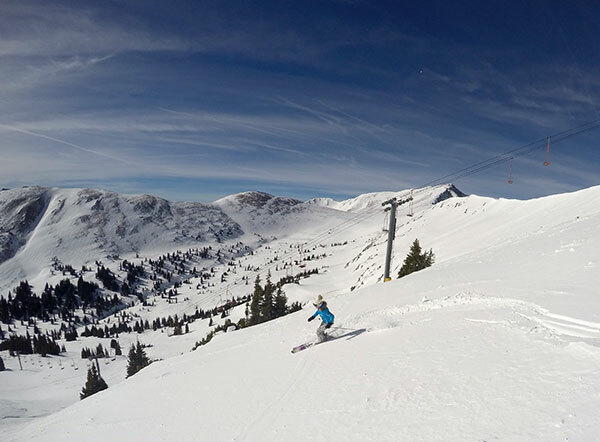 Copper’s 12,313′ summit has high-alpine expert terrain, but near the base is beautifully groomed for beginners and intermediates. Kids will like that the US Ski Team trains here as do the best free skiers and riders at Woodward Camp. The Village at Copper is perfect for families, with a pedestrian Burning Stone Plaza designed by Intrawest, plenty of restaurants, ski shops, ice skating, children’s programs and ziplining, snowshoeing and dog sledding. Copper has condo-style hotels in the Center Village, East and West Village. Copper is a gold mine for ski families. 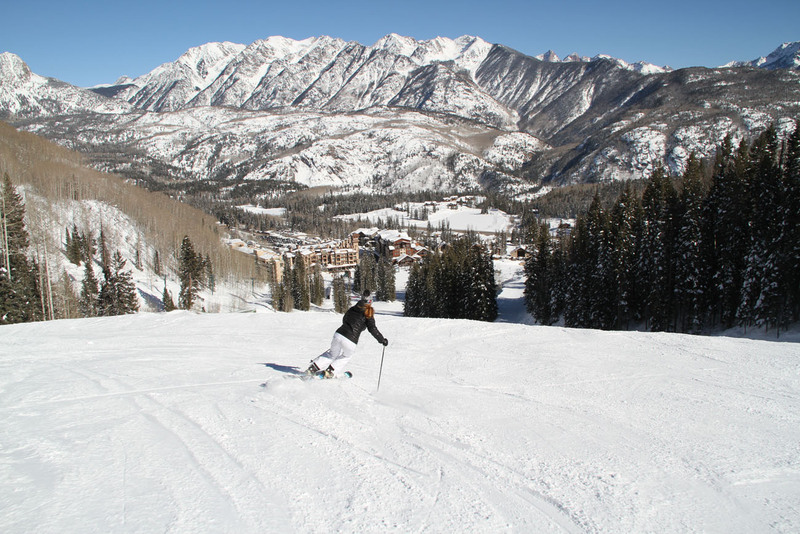 Copper, Steamboat and Aspen are now part of the Ikon Pass along with a dozen others. Breckenridge truly offers something for every skier and rider in the family plus plenty of off mountain amusements in the expanded cowboy town. Breck is a sprawling mountain of almost 3,000 acres with numbered Peaks 10, 9, 8, 7,and 6 and the highest elevation lift-served skiing in the US at 12,840′. 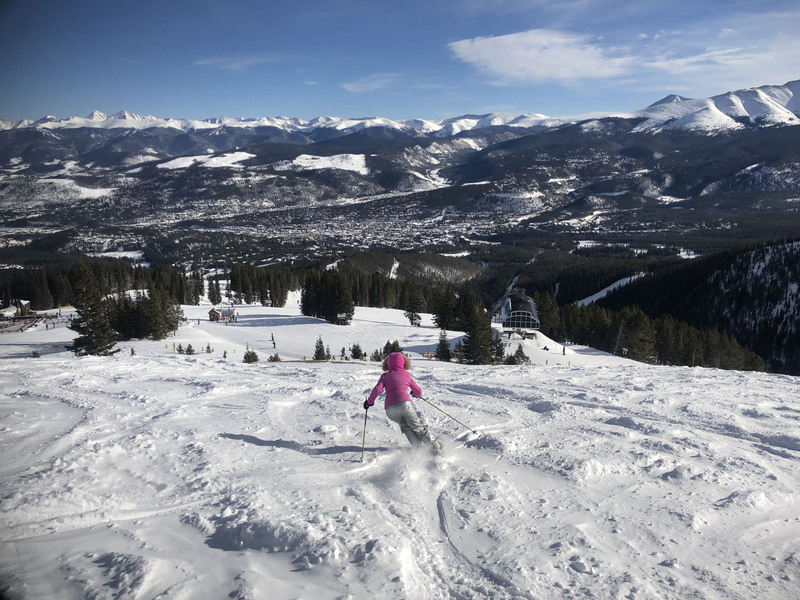 Kids will love Breck’s parks and fun adventure zones, experts will love the high elevation bowl skiing, and intermediates will love Breck’s wide groomed boulevards. Non skiers will find outlet shopping and great fun in the frontier town Main Street, great for après ski too! 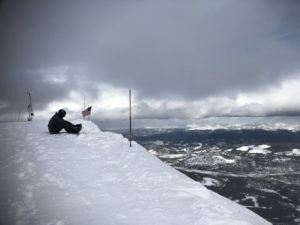 Breckenridge is the busiest in the US, and there are plenty of beds in this resort town. Keystone is great choice for families among the Vail resort collection on the Epic pass, with a fun friendly pedestrian ski village by the slopes, a swift gondola serving skiers from the base, Keystone kids programs, and trails for every ski level plus fine on mountain dining. Keystone really does have terrain for the entire family, beginners can actually enjoy top to bottom skiing which is unusual in high elevation Colorado resorts, and there is cat skiing to powder bowls for expert skiers. While Winter Park has a big bump reputation, but it deserves attention for its family friendly casual vibe. The Village at Winter Park is comfy, with lots of condo-style lodging, and the mountain is huge with variety of terrain from yes – moguls galore at Mary Jane, to above tree line fun at Parsenn Bowl and extreme at The Cirque, but mellow cruising at Vasquez Bowl. Downtown Winter Park is a great western ski town with affordable lodging, McDonalds even, making Winter Park an easy place to ski and stay with your family. 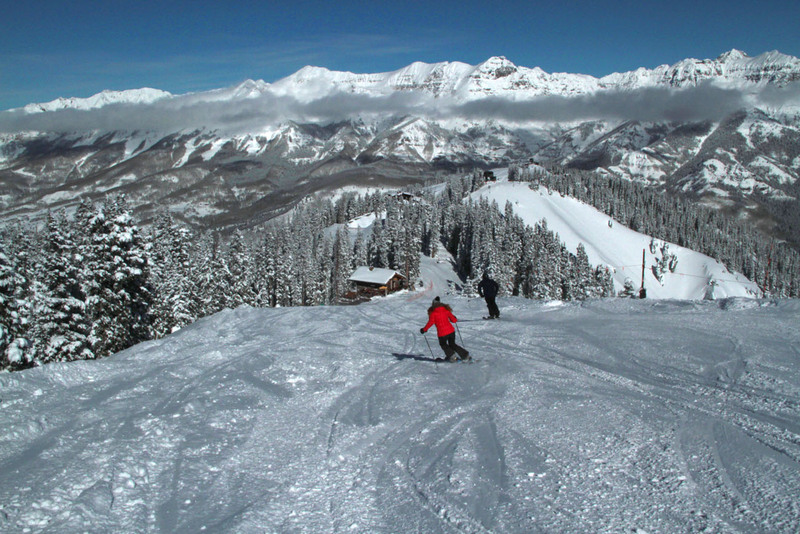 Telluride Ski Resort is beautiful scenically, hard to get to, and easy to love. 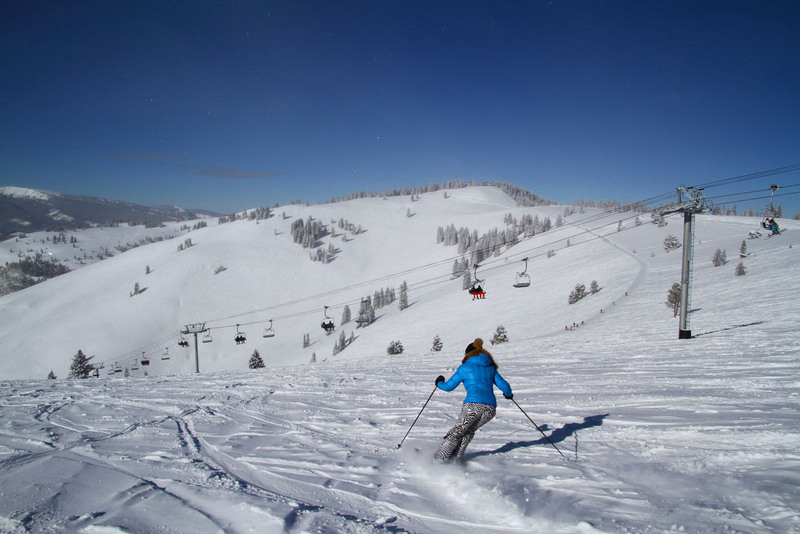 And we love it for family skiing on its friendly intermediate ski slopes and for its more challenging ski terrain for experts. Some say Telluride is the new Aspen – beautiful for the beautiful people – we say go now and enjoy See Forever trail, and the European style lodging and ambiance. Some of the best on mountain ski hotels are here plus you can take the gondola at night to the authentic mining town below the Mountain Village.